A flower and a fruit side by side in an apple tree. 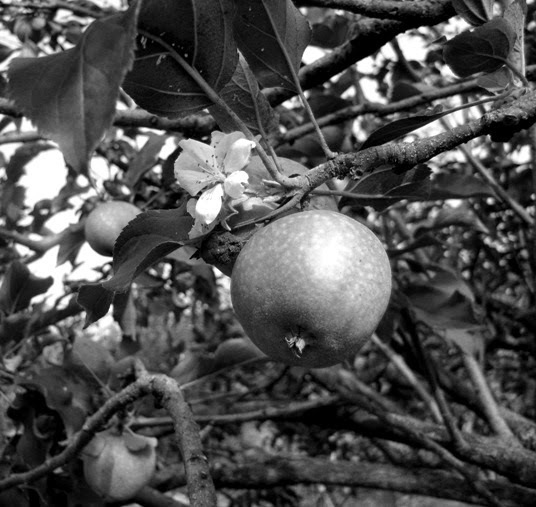 Taken at the Kusuma Agrowisata the fruit garden (Batu Malang, East Java, Indonesia) last year. The fruit looks familiar, I just can't put my finger on it. An unusual and lovely photo!